Although cancer has doubtless existed in India as long as humans have settled there, its earliest recorded history came from South India, Balram Jaker in 1875 from Trivandrum and Niblock from the Government General Hospital, Madras, in 1902 described oral cancer in relationship to pan chewing. Howard Somerville, a British surgeon, who came to India in the 1920s after participating in two expeditions to climb Mount Everest worked for 40 years in mission hospitals in India, including Neyoor and noted the association of tobacco chewing and oral cancers. The anti-cancer campaign in India did not begin in earnest until much later. This was not for want of trying. In 1936, the Cancer Relief Fund was under the leadership of the late Dr Muthulakshmi Reddy, a remarkable woman who was a great campaigner for women’s rights. She was the first woman medical graduate in India, the first woman legislator in British India and the first Alderwoman in the Madras Corporation. In 1936, Dr Reddy made an appeal to the King George Memorial Fund Committee (India was then under British rule) to establish a cancer hospital, but this was not to be, and for some 30 years after, there was no national effort against cancer. In 1941 there was only one facility for cancer treatment in India – the Tata Memorial Hospital in Bombay. In 1949, Dr Muthulakshmi Reddy had the opportunity to explain to the then Health Minister of Madras the need for a cancer hospital. The Chittaranjan Cancer Hospital in Calcutta was founded in the early 1950s and in 1952, the foundation stone for the Cancer Institute (WIA) [WIA= Women’s Indian Association], Adyar in Madras, was laid by Jawaharlal Nehru. The Institute began to function in 1954. There was not even a mention of cancer in the first five-year health plan of the Government of India after independence, but Dr Reddy’s persistent efforts eventually led to its inclusion. One of the reasons it was so difficult to initiate anti-cancer activities was because there was the widespread perception that cancer was an incurable disease of “karma” or “fate” and was preordained as a consequence of one’s actions (not entirely different from more modern notions). Clearly, according to this philosophy, treatment was futile. This perception has continued to a great extent even today – and not only in the less developed countries. The original intention of the WIA Cancer Relief Fund was only to persuade the newly elected government of the need for a comprehensive cancer centre for education, early detection, and adequate scientifically-based treatment coupled to research in the field. Clearly, the concept of early detection and prevention was already in the mind of Dr Reddy, who was to become the founder of the Cancer Institute. In fact, it was the indifference of the government that led Dr Reddy to take up the challenge herself. She established a small cottage hospital of 12 beds in Madras which was to focus on the care of cancer patients. Her only technical support in this endeavour was her son, Dr Krishnamurthi, whom she had sent to the USA for training in cancer at the Memorial Cancer Hospital in New York. Dr Krishnamurthi, young and energetic, an idealist and visionary, returned in 1949 from the USA and Dr Shanta, a gynaecologist, joined the effort in 1954. By early 1960, we realized that the crux of the problem of cancer in India was late disease at presentation and that once the cancer had disseminated, even the best of technology could do very little from the perspective of achieving a cure. The only solution was to detect cancer at the earliest possible time after its initiation, when modern machines, sophisticated techniques and medical and surgical expertise could be put to effective use. Detecting cancer early, however, was indeed a formidable task, but several projects undertaken in the 1960s demonstrated that it was possible to achieve this goal. Between 1961 and 1963, the first ever field survey of cancer in the country (I had the privilege of conducting it myself) was carried out. The survey data was revealing as 10,775 individuals in five taluk towns (that supervise land holdings and other administrative matters) in the Chingleput district were examined, 67 cancers and 63 oral pre-cancers were detected. The majority of the 67 invasive cancers were cervical cancers (27) or cancers of the buccal mucosal (24). Of the cervical cancers, 69.5% were early and 30.4% late, just the reverse of the hospital series. Based on the data from the Chigleput district, we requested a grant from the Indian Council for Medical Research (ICMR) in 1963 to extend our survey over a larger region. Unfortunately, the application was turned down. We then submitted a proposal to WHO in Geneva, for the establishment of a cancer control project at Kanchipuram. The WHO was not particularly enthusiastic but its Norwegian expert adviser, Dr R Eker, was impressed by the potential of the proposal. This led to lengthy correspondence, resulting in the many obstacles that had to be overcome, but after five years the project did come to Kanchi in 1969. This was the the first international WHO Cancer Control Project in the world. Dr Eker of the Norwegian Cancer Centre was the Coordinator and I was nominated as the Principal Responsible Officer. The South-East Asia Regional Office of WHO however, had the final say in the matter. The contractual obligations could only be between WHO and a government and not with a voluntary institution like ours. Dr Eker resigned. After nearly five years of toil and labour, we were unceremoniously dropped. Despite this, the Institute volunteered to train medical officers for the project and provided cytological screening for over three years, at which time, the government of Tamil Nadu converted the Institute into a cancer centre. It was on the basis of this background that the feasibility study to train VHNs (village health nurses) in the visual and digital detection of an abnormal cervix was undertaken in 1991–92 by the Cancer Institute (WIA) and was funded by the ICMR. One hundred and one VHNs were trained, 6,450 eligible women screened and in 985 of them, an abnormal cervix was detected. All cancers and pre-cancers were referred to the Institute for treatment free of charge. The project concluded that the VHN is competent and capable of being trained in the visual detection of an abnormal cervix with a concordance rate of over 90%. The District level Cervical Cancer Early Detection Programme in South Arcot District was initiated in 1992 and funded by the Government of India. The objective of this plan was to integrate the screening and education programme with the State’s permanent health infrastructure and delivery system, since this could significantly reduce cost. The project led to the training of 258 medical officers, 672 village health nurses and 30 block health educators. Almost 60,000 (59,314) women were screened and 8,514 pap smears were performed for those with an abnormal cervix on visual inspection. It was only in the 1960s that the government of India awoke and realized that cancer was a growing health problem and that cancer control was a national problem requiring a national effort. It constituted the Rao Committee in 1965 and the Wahi Committee in 1971, which, together, laid out a broad framework for cancer treatment and research. Ten years later (1982), as a part of the National Cancer Control Program (NCCP), the ICMR (Indian Council for Medical Research) initiated the National Cancer Registry Project (NCRP) with three demographic registries (at Bombay, Madras and Bangalore) and three hospital registries (at Trivandrum, Dibrugarh and Chandigarh). Today, there are 26 demographic registries in the NCRP: 21 urban, three rural, two covering small state populations and five hospital cancer registries. An attempt to publish an atlas of cancer for India following a low-cost strategy delivered mixed results and could not be sustained. The data provided by the NCRP formed the core of the NCCP in 1986 (20 years after the Kanchipuram Cancer Control Project, 1968). The objectives were the primary prevention of tobacco-related cancer (40% of cancers in men were tobacco-related) the secondary prevention of cervical, breast and oral cancer (these constituted 50% of all cancers in women) and strengthening of therapeutic services through the establishment of regional cancer centres and strengthening of the health system. Palliative care was added as an objective much later in 1990. Today, the concept of comprehensive regional cancer centres able to offer a standard set of services, information on the regional cancer situation as well as training and research has still not come to fruition. There are 26 regional cancer centres, one in each state, but they have varying degrees of infrastructure. The implementation of the NCCP has been rather slow and there are still no government, national or state policies with respect to the organization of cancer control efforts. Early detection and cancer education is essentially being carried out by a large number of NGOs in an opportunistic setting. The programmes are not structured. There are no targets. There is minimal government funding. Tobacco is branded as a cash crop and many incentives are given to the tobacco industry. The tobacco lobby is very powerful and after many years of struggle, some legislation, including a ban on tobacco smoking in public places, schools and colleges, airports, railway stations etc., have been enacted. The implementation, however, is inadequate. Fresh threats from the attractive marketing of smokeless tobacco products directed at wooing young people, particularly as their earnings increase, have emerged. On the whole, we are nowhere near effective tobacco control. This is despite the fact that India is not only a signatory of the WFTC (2005) but was also part of the drafting committee. The Cancer Institute (WIA) has attempted to do its part in cancer control. Our perception, which is stronger today than even in the 1960s, when we pioneered the Kanchipuram Project, is that in cancer control, the area most likely to be effective, and which should be emphasized most is the early detection and prevention of cancer. But this must run in parallel with improved treatment if advantage is to be taken of early detection. It will be necessary to document improved survival durations and cure rates for us to be able to spread the message of the importance of early detection, and show that reduced incidence can be achieved if we are to validate that prevention is possible. Preventive oncology has been an ongoing programme at the Institute from its inception and an independent division of preventive oncology has been functioning since 2003. The department has a continuing outreach programme towards cancer education, cancer awareness, early detection of accessible cancers (cervix, breast and oral), along with education on the hazards of tobacco. The project covers the areas in the outskirts of Chennai and each year, approximately 7–8,000 asymptomatic women are examined. Pre-cancers and invasive cancers that are detected are treated at no cost to the individual or are highly subsidized. Apart from education and screening, there is also an attempt to add a research component. A population-based prevalence study of high-risk HPV documented a prevalence rate of 12.7%. The follow-up study on positive women for viral persistence (essential to the development of cervical cancer) is ongoing. More innovative early detection and screening programmes are contemplated. The Tobacco Cell at the Cancer Institute (WIA) is a major component of our cancer control activities. The Tobacco Cessation Center (TCC) was set up in 2001. Over the years, it has been nationally accepted as a full fledged resource centre for tobacco control in Tamil Nadu. The TCC focuses on tobacco cessation, education, training, research and control and has as its goal a “Tobacco Free Chennai”. A division of psycho-oncology has been introduced this year to add vigour to both population- and hospital-based activities. The demographic registry at the Cancer Institute (WIA) is one of the best in the country. It provides annual cancer incidence and mortality data. Many descriptive studies proving the association of lifestyle factors and common cancers add value to the formulation of strategies and provide direction for cancer control programmes. It has also provided data on trends in the cancer incidence pattern as part of disease surveillance over the years. In addition to the demographic registry activity, the registry division is involved in hospital-based patterns of cancer study, which provides survival data in selected cancer sites. The Institute can claim to be the only centre in India that has long-term survival data. The registry division also trains personnel in cancer registration from other parts of India and West, East and South-East Asia and Africa. This year, the Institute has launched the Tamil Nadu Cancer Registry Project (TNCRP) as a joint project of the Cancer Institute (WIA) and the Department of Health and Family Welfare of the Government of Tamil Nadu. It will attempt to register incident cancer cases covering the entire population (72 million) of the State of Tamil Nadu. There are only three rural registries in India so that most of the data are accrued from urban registries. A distinctly different pattern is seen in the urban and rural settings. The most obvious difference is seen in cancer of the cervix and breast. Cervical cancer which occupied the top position among cancers in women in 1982 in most cities in India had been replaced by breast cancer in all of the urban registries by 2002, whereas the data from rural registries, although not nearly as extensive, continues to be as before. It is therefore expected that the establishment of the TNCRP will usher in an era of knowledge acquisition on cancer patterns from all the districts of the state of Tamil Nadu, providing an atlas of cancer that, if demonstrating clear regional differences will be of great help in directing cancer control efforts. More directly, it is proposed to set up an early cancer detection centre, including cancer education and awareness in all districts where the registry is collecting data. Where are we in cancer control? ‰ Efficient hospital cancer registries with good documentation and built-in systems of active follow-up of treated cases. ‰ Rural registries in regions that are currently “out of sight.” The ICMR and IARC have focused only on urban demographic registries. The hospital registry and the demographic registry must run in parallel to ensure that the best information possible is used in the development of cancer control programmes. 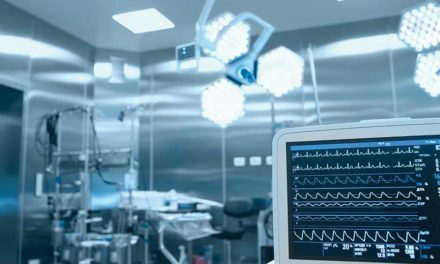 ‰ The increase in survival rates of treated patients, based on hospital series, reflecting the available infrastructure, technology and trained personnel. ‰ The improved survival of and relative proportions of treated and untreated patients observed in population series, reflecting the accessibility to and/or development of health services, referral and early detection practices. ‰ The size of trends towards earlier stage of disease at presentation, reflecting cancer awareness and education. ‰ The establishment of prevention programmes and demonstration of trends towards lower incidence rates, with an emphasis on tobacco control. ‰ Accessibility and affordability of cancer care, which will reflect governmental commitment and public support. Dr V Shanta’s career spans over 5½ decades starting in 1954 after her graduation in Gynaec and Obsterics. During the entire period she has been involved in organizing cancer care, its prevention and control as well as training specialists and clinical research. She has been involved in the creation and development of a voluntary, charitable cancer centre with an international reputation, as well as the establishment of the first cancer control programme in India at Kanchipuram in 1969. Dr R Swamininathan is Associate Professor in the Department of Statistics and cancer Registry, India. and the same for this colleague. R Rama is Assistant Professor, Department of Statistics and Cancer Registry.